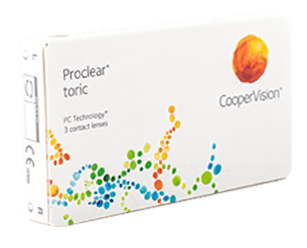 Proclear Toric lenses offer outstanding value as they are reusable and correct astigmatism. These lenses benefit from a handling tint, making them easier to see while putting them in and taking them out. They remain moist and comfortable throughout the day.